The cover of the Fall 2008 Bates Magazine shows Nicolas Lindholm ’86 displaying tomatoes grown on his family-operated organic farm, Hackmatack Farm, in Penobscot, Maine. 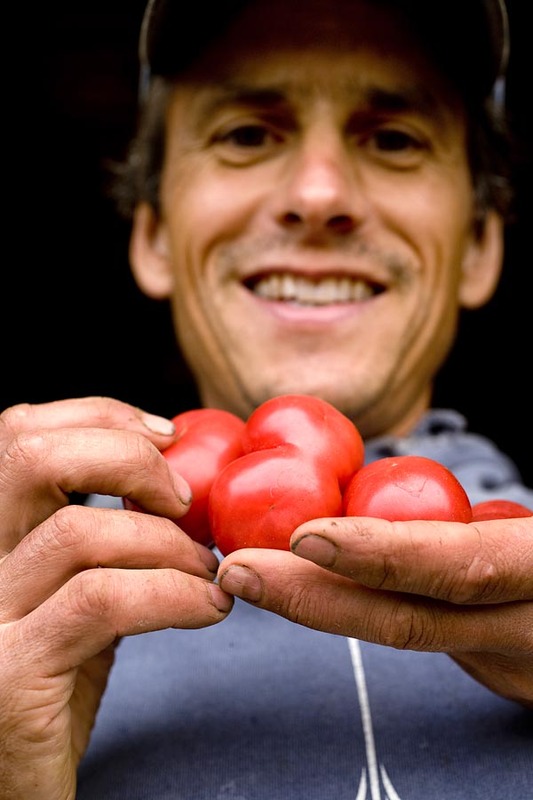 The tomatoes, a variety that Lindholm is developing himself called “Baby Brandywine,” have “the flavor, color, and texture of Brandywine but in a miniature size,” he says. Stories and photographs of alums involved in Maine food. Lindholm sells his produce at local farmers’ markets, in Blue Hill and Stonington. See this issue’s stories, told in text, photos, video and audio, about Maine alumni who produce food in Maine, all part of the College’s Bates Contemplates Food initiative.